The 30 x 40 Frame tent can hold up to 100 people seated. 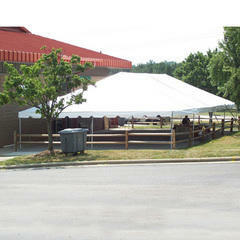 This is a frame tent and therefore can be set up on pavement as well as grass. Twin Tube West Coast Frame.